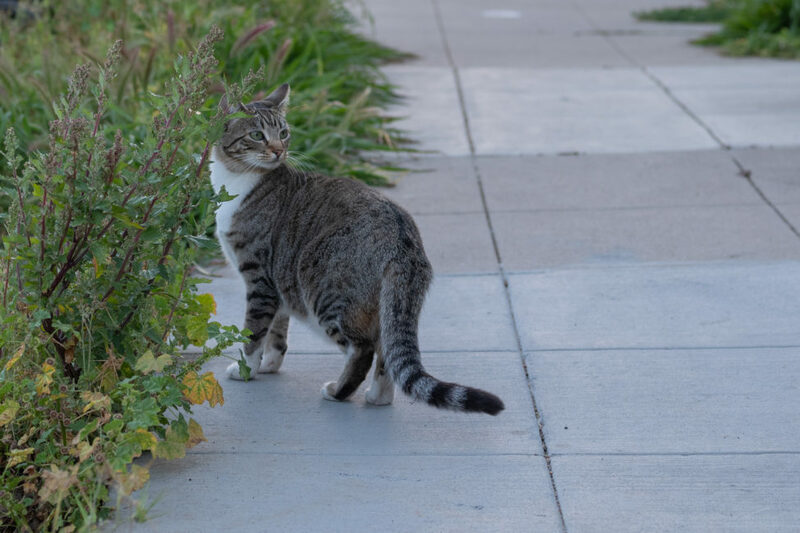 Frisky is a common-enough kitty name, but we remove the “F” in nicknaming this disturbing shorthair—not for her behavior but location seen: Georgia and Howard, which is a dangerous intersection for traffic—whether foot or vehicular. My wife and I first met her on April 10, 2019, as we walked home from the Sprouts market. She approached us from Georgia. Next day, as I strode to the grocery, Risky greeted me along Howard. 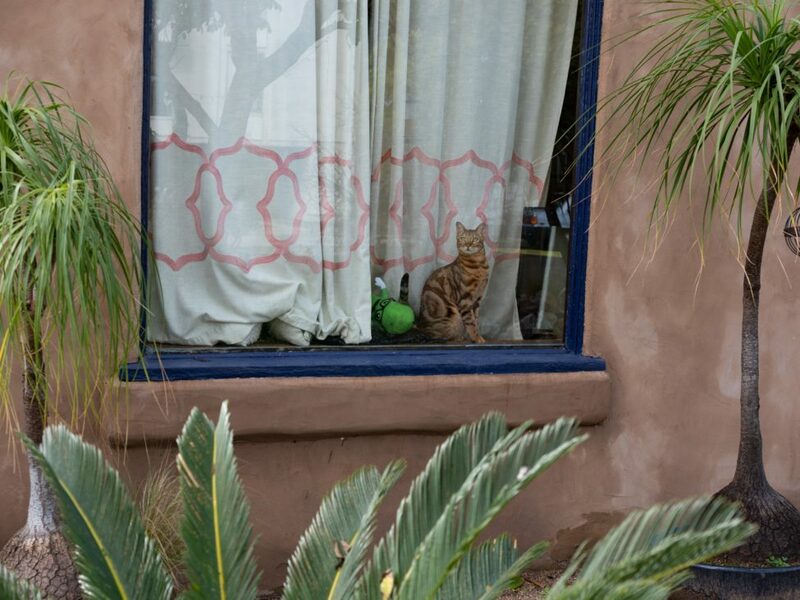 We celebrate Caturday with the forty-first feline seen behind either window or door—and in the most unusual, but cutest, pose yet. How could I nickname this sleepy anything else but Bliss? 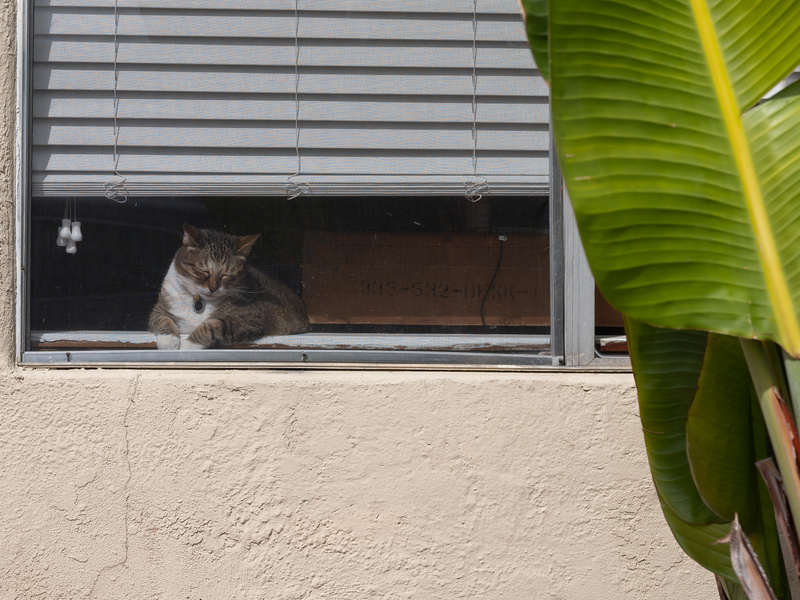 Sssh, don’t wake this darling, whom I encountered along Meade near Park Blvd. The rainy season may be (mostly) over, but the full flowering super bloom sweeping Southern California is everywhere. How about them lilacs down the street? 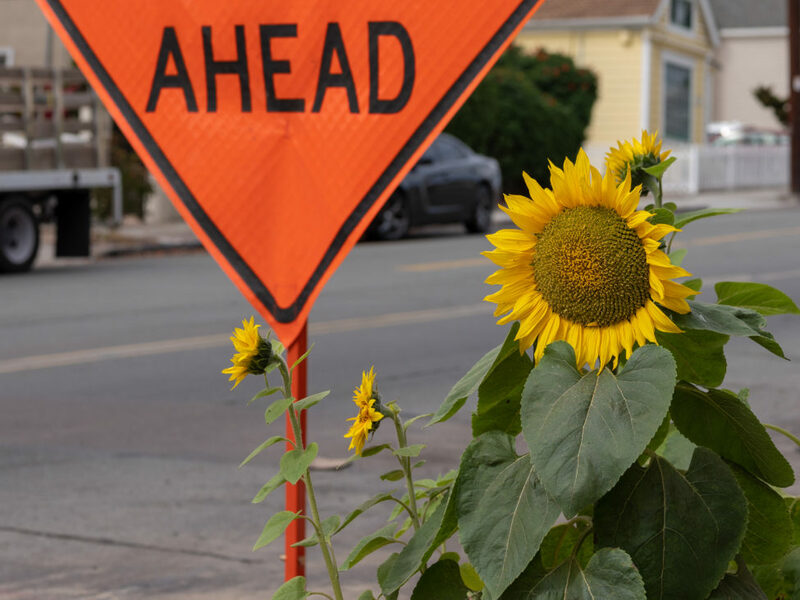 Or this sunflower rising from a nearby construction zone? Road crews have worked that sidewalk and street all Winter, seemingly. It’s amazing there is soil enough to grow anything, let alone something so sudden and big. But, hey, the small patch of dirt sits at the bottom of an incline, where water (lots of it) flows fast and the right elements were just right. 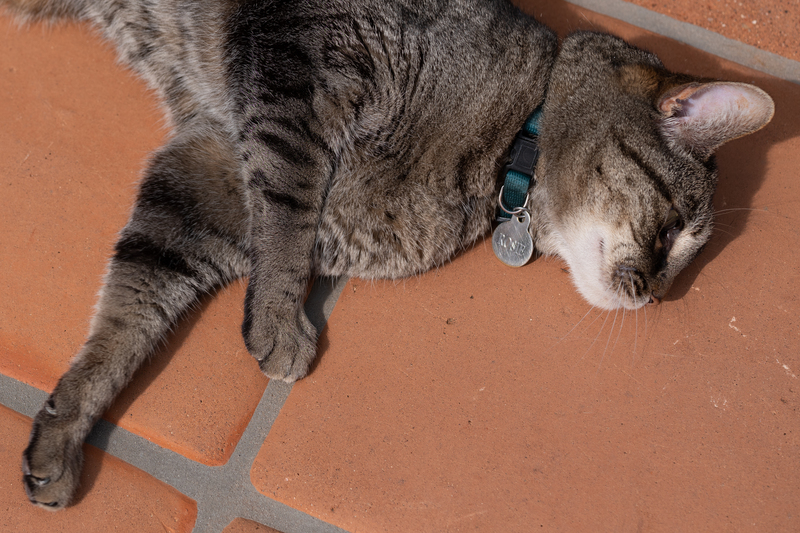 The eleventh Alabama Street cat, Cal, has a friend, whom I nickname Smudge. 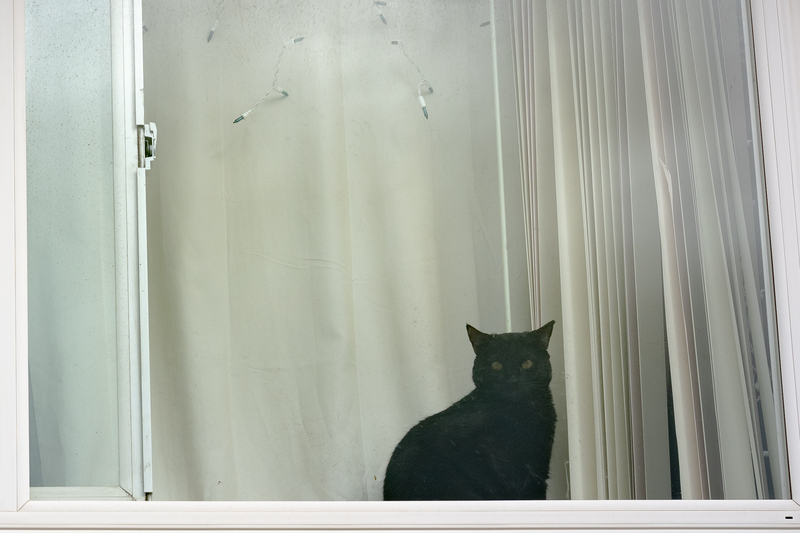 Hey, the window is a bit grimy, as are most others around about the neighborhood. The unusually wet Winter brought lush greenery and lovely flowers but left behind crud on most everyone’s glass (ours, too). Smudge is the fortieth behind window (or door) watcher featured in the series and thirty-seventh seen on Alabama between boundaries Adams and Lincoln. 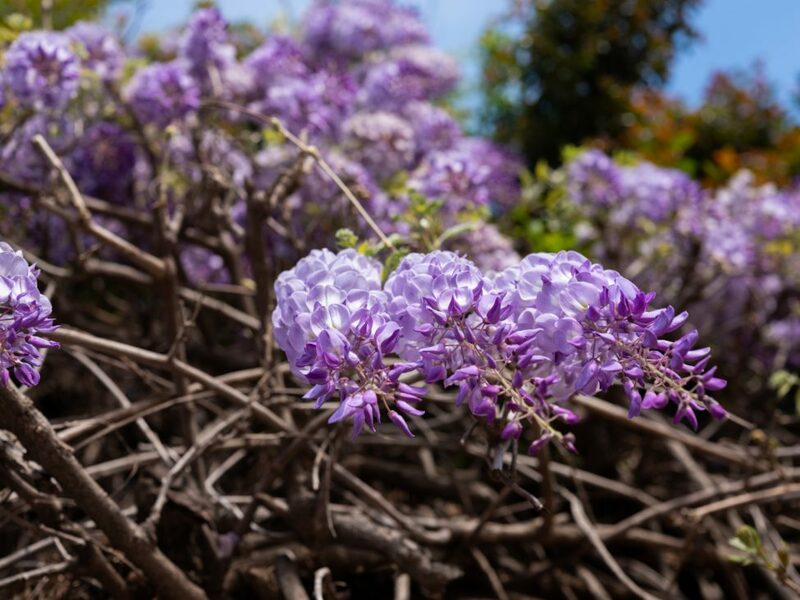 My Nana loved lilacs and roses—and both join an amazing Spring bloom in Southern California, following an unusually wet Winter. The lush greenery and flowering plants won’t last long, but their presence—and amazing aromas tickling my nose while walking—along with the weather, remind of home. Light, constant breezes and temperatures in the high teens to low twenties Celsius beneath puffy Cumulus and Nimbus clouds make San Diego feel so much like Aroostook County during Summer. My wife and I call them “Maine Days”, and they are this Spring’s hallmark but without its Down East annoyance: Mud season. 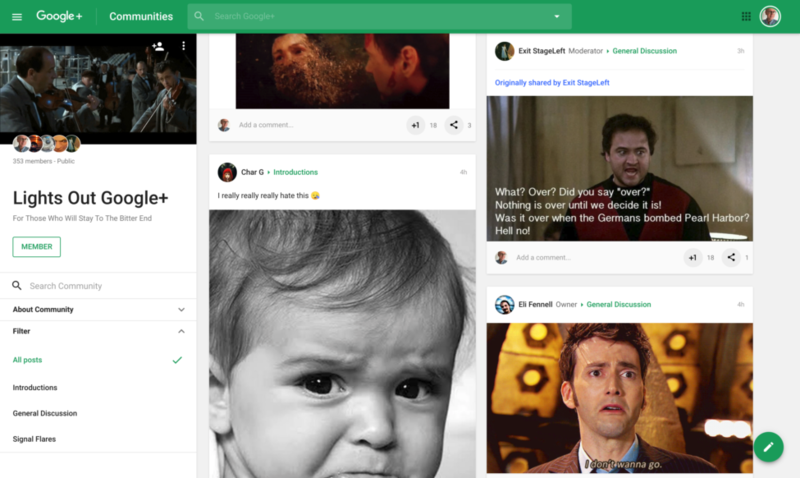 Two months ago I posted to Google+: “On April 1, 2019, Google will ceremoniously announce that after conducting focus groups and consulting with loyal users, the company has reversed its decision to close down Google+. 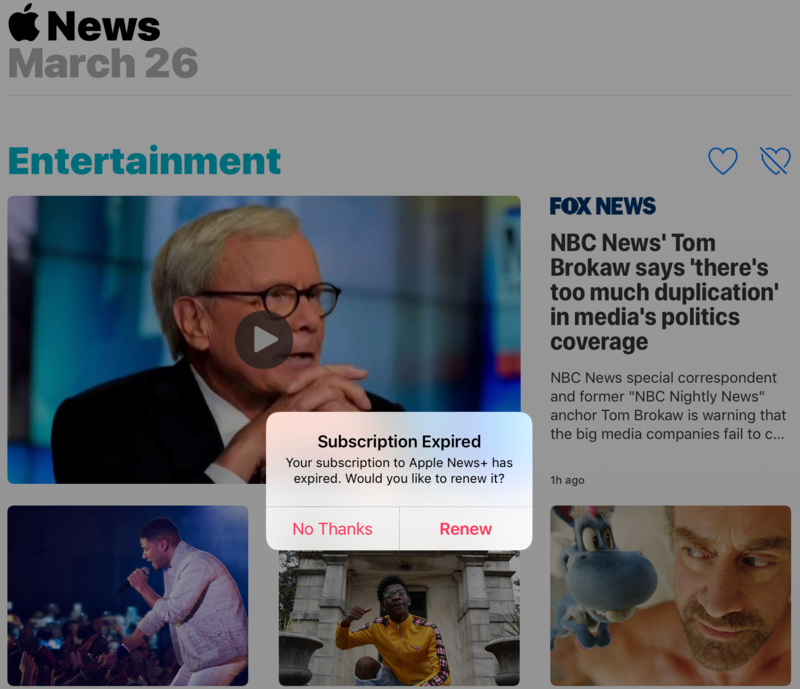 On April 2, 2019, Google will pull the plug as planned and tell us that we’re April Fools”. 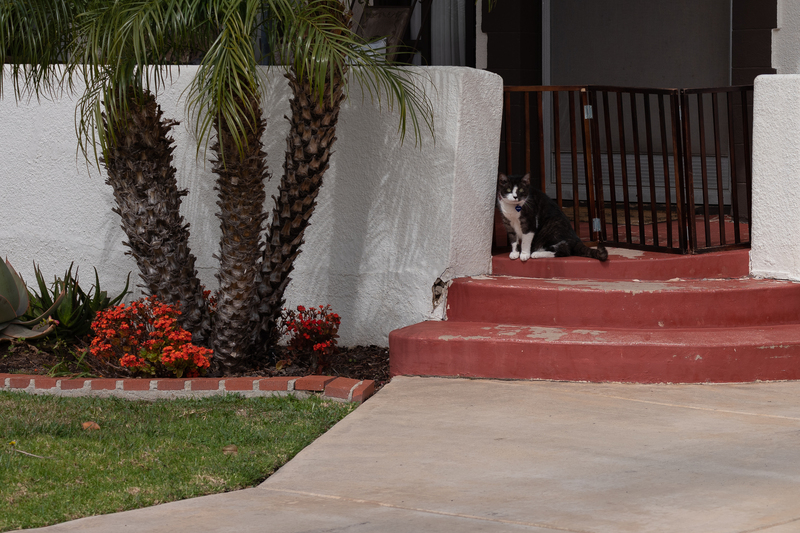 When walking down Monroe from Maryland towards Arch, on Feb. 26, 2019, I spotted a pretty kitty close to where the Siamese Twins presented 11 days earlier. The owner carried in groceries, while her sister and I chatted. There’s a sad story to tell about one of the ladies, sometime later after I ask and if permission is granted. 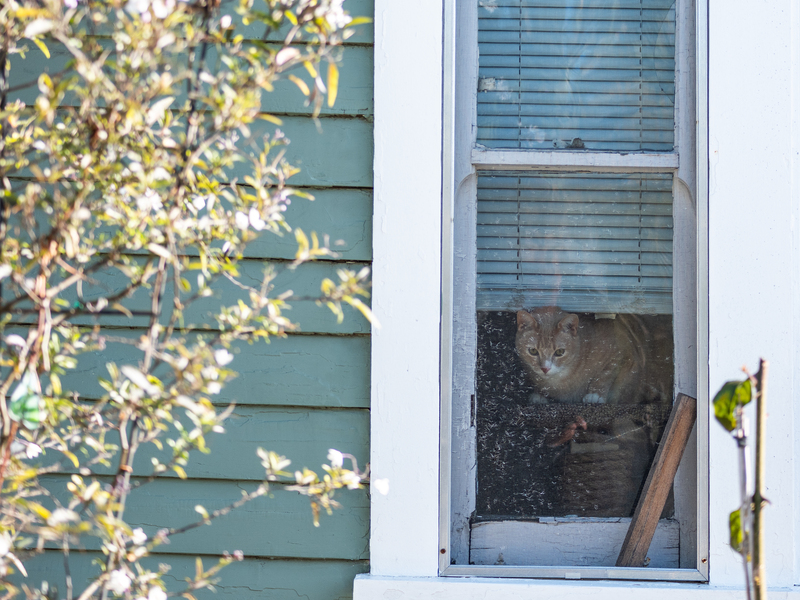 The Alabama parade continues with the third kitty presented consecutively—following Peanut and Rocky—and the thirty-sixth sighted on the street between boundaries Adams and Lincoln since the series started in October 2016. That works out to a stunning 14 percent of profiled felines. 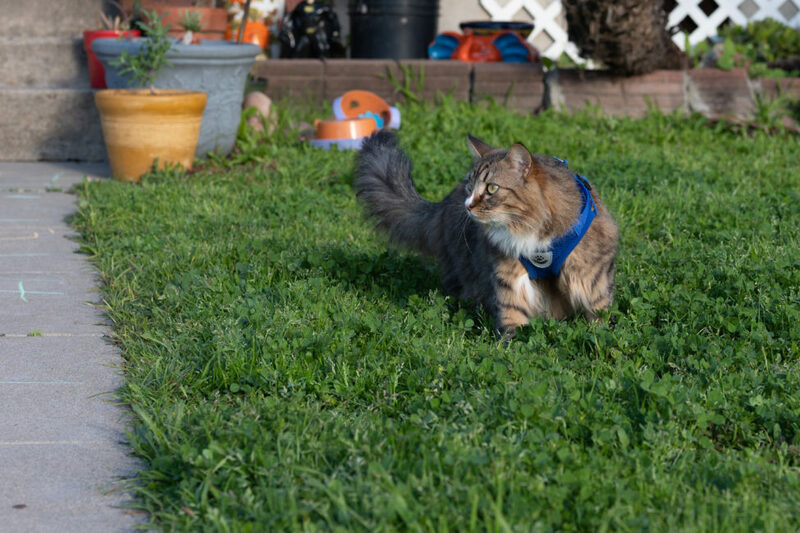 The thirty-fifth feline from Alabama Street—between neighborhood boundaries Adams and Lincoln—is also the third in an impromptu series of harnessed beasties (Jake and Rocky are the others). Peanut is house companion to Rocky, and both shared owner with Monkey, who passed away about 12 months ago. Next door lived Smokey, who disappeared weeks later. In another house down resides Precious. Also on the same block: Alley, Harley, Holiday, Mitsie, and Sly.